Sound Design’s control room is designed to make every aspect of your recording sessions a success. It’s ergonomic layout and functionality make recording, mixing and mastering your project a smooth and efficient process. 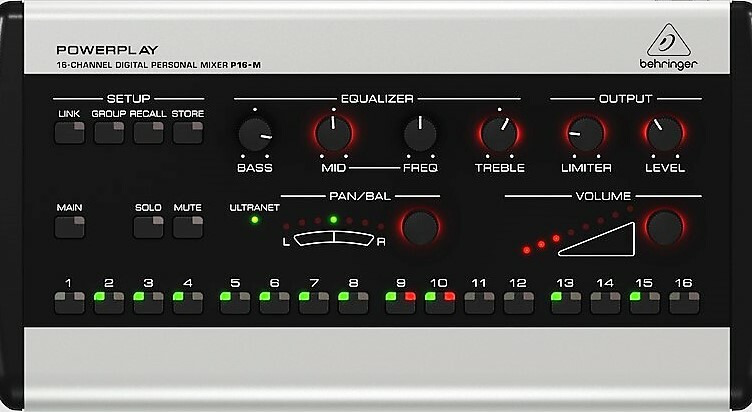 A powerful 12 core ADK Pro Audio computer hosts our multi-track recording software and can accommodate very high track counts and plug-ins associated with large recording projects. Four video monitors, including a 4K large center monitor combine to make detailed information about the tracks and tools being used in your project instantly accessible. This makes editing mixing and mastering quick and easy. Recording projects often require lots of tracks and a variety of professional effects, mix, and mastering tools. Our studio can handle high track counts and we have a wealth of select tools to edit, mix and master the most demanding projects. More importantly, we have over 25 years of music project engineering and continually update the studio and our expertise with the latest studio tools and techniques. 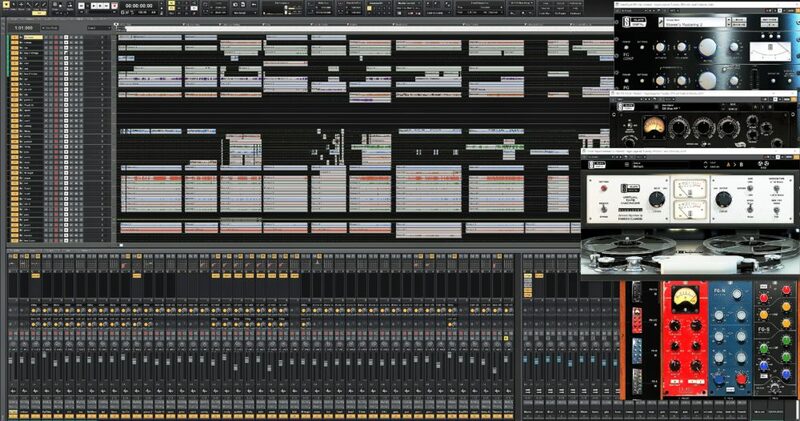 Behringer’s X32 console sports 40 processing channels and 16 mix buses. Midas and Klark Teknik’s developed studio-quality mic preamps deliver enhanced dynamic range, superior common mode rejection, and vanishingly low harmonic distortion (THD). These preamps sound amazing! 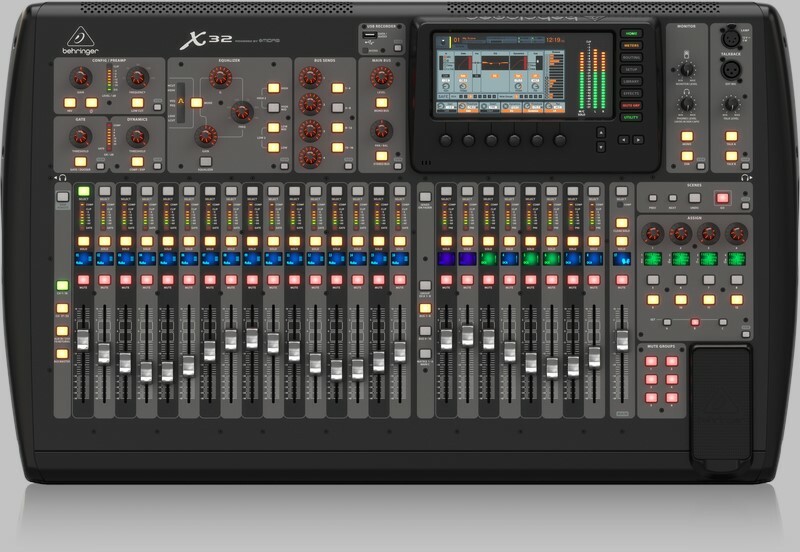 Click on the link at the top of this paragraph for a YouTube video highlighting the x32 console features. 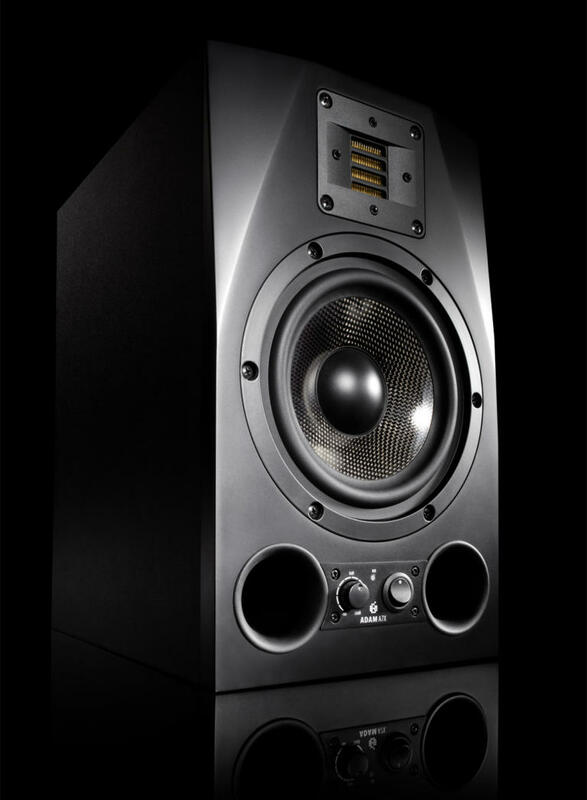 Adam A7X Studio Reference Monitors accurately reproduce the entire audio range. You can be confident that what you hear is an accurate representation of your mix and master. The A7X is ADAM’s best selling nearfield monitor. It is one of the most balanced and versatile speakers currently on the market. The X-ART tweeter produces detailed, uncompressed highs and upper mids without being tiring over long listening periods. A second ADK computer system running Cantabile is host to all the studio’s virtual instrument library and allows you to record highly detailed instruments from our massive virtual library with none of the delays often associated with the use of virtual instruments. 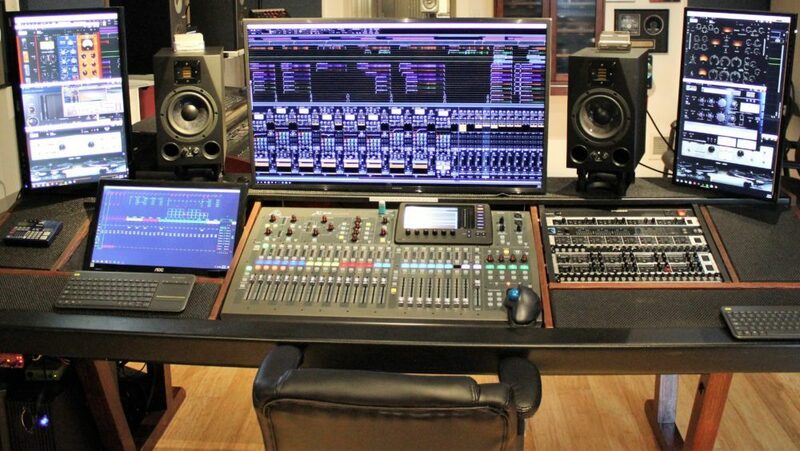 Play any combination of high end virtual instruments from our workstations in the studio in real time -no problem! 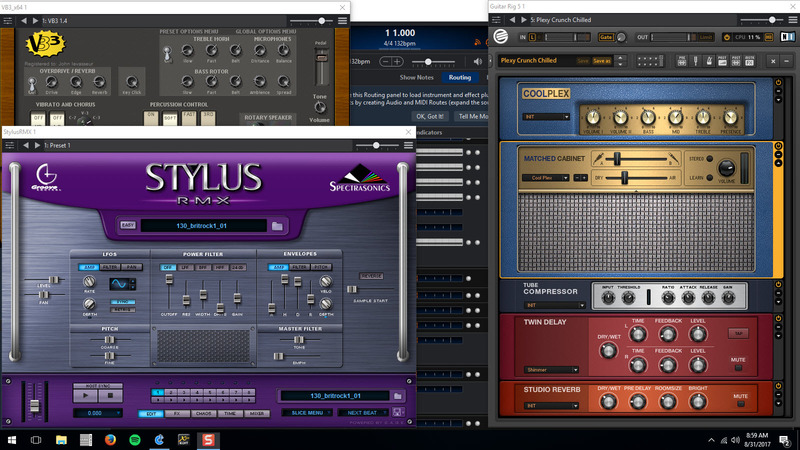 If you are a musician at one of the workstations, you can load and edit any virtual instrument from our library for use right at that workstation. Sound Design’s studio is a well tuned listening environment with acoustic treatment engineered into every room. We also fine-tune these rooms using Real Time Analyzers, IK-Multimedia’s ARC 2 and more. 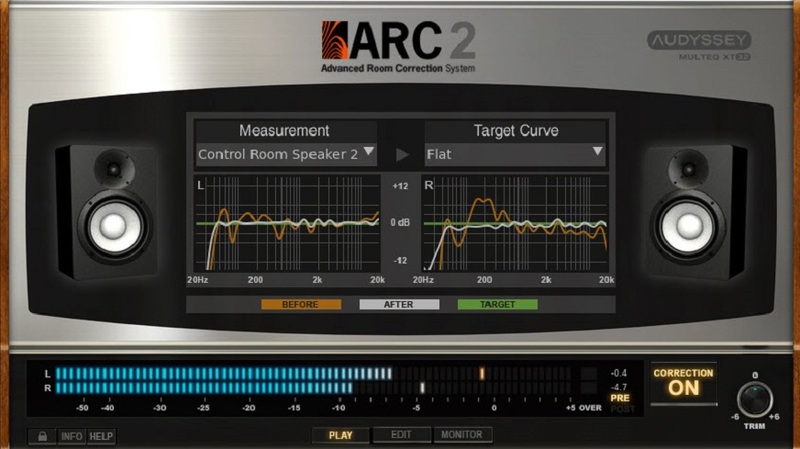 This ensures we are hearing with clarity and detail – an important aspect in mixing and mastering your project.